Until the last forty years or so, a particularly onerous household chore was ironing. First, irons were heated on stoves, then elctric irons (with no thermostats!) came along followed by the irons in the 1930s with thermostats. They were heavy, still, and required the user to stand. The heat rises, so on a warm day, Tuesday's ironing was a hot, draining chore. 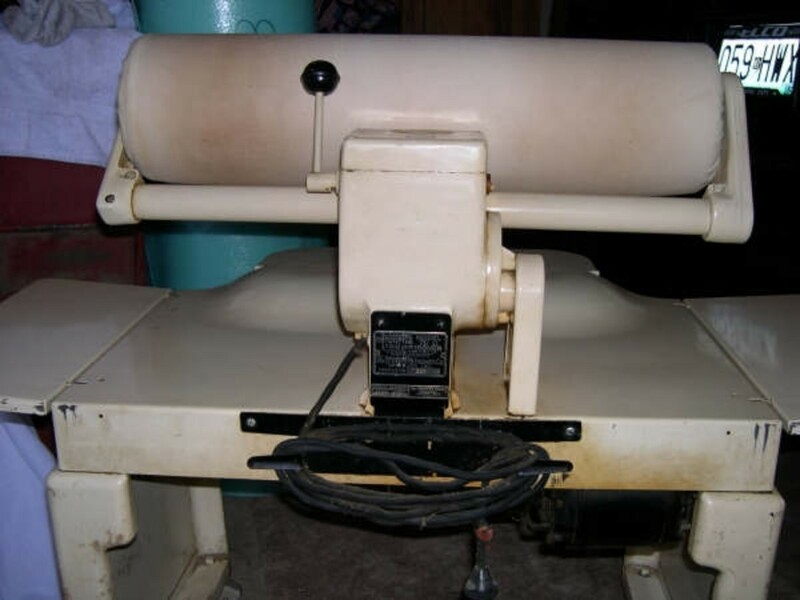 The rotary ironer came along in the 1920s. A roller pressed the dampened cloth against a hot shoe ironing the cloth flat and dry. 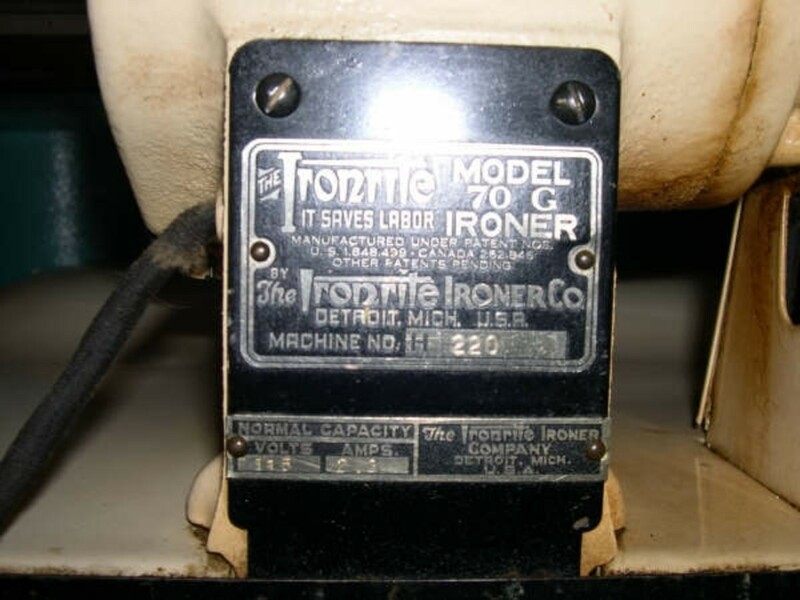 Ironrite was considered the premier maker of these machines because of their design and quality. One edition of the owner's manual proclaimed that ironing with the Ironrite was restful and relaxing. Some unique qualities of the Ironrite are the placement of the shoe -- under the roller, the fact that both ends of the roller are open, and, most importantly, its high quality and durability. A law of physics is that heat rises, so it makes sense to have the source of heat under the cloth being ironed. The roller turns toward the user, so the released heat comes from the far side of the roller. 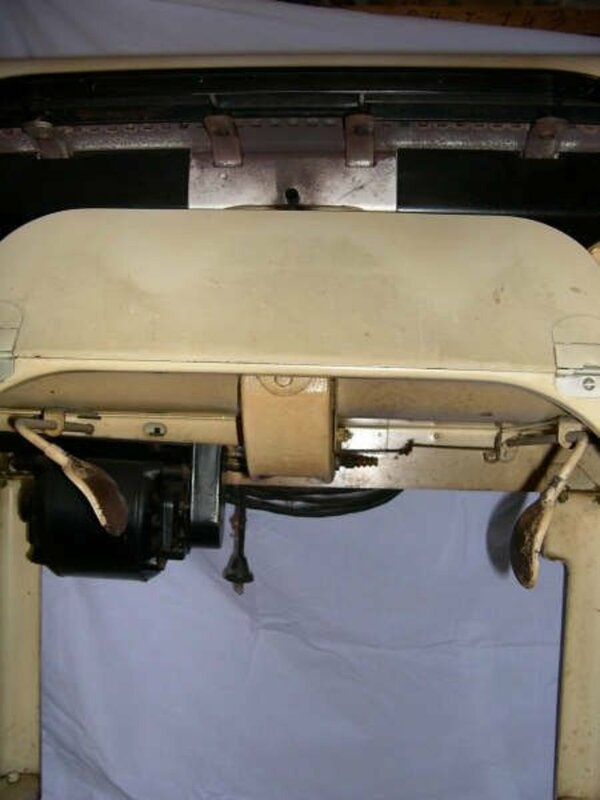 In ironing with such a machine, it is convenient to have access to both the left and right side of the shoe, for it to be open. The Ironrite was the only maker to have this feature. Lastly, these machines were so well built (I have seen estimates of how much it would cost today to produce this product, and it was thousands of dollars!) that many have worked for fifty years with nothing more than a changing of the oil in the gearbox and new roller pads and coverings. What other appliance can make such a claim? This is amazing. It is both culturally historical, and you can really see how the Ironrite works. It is true that some of the Ironrites were very little used because for some the hand/knee coordination was too difficult. The Ironrites were expensive; in fact all of the Ironrite competitors such as Conlon, General Electirc, Thor, Maytag, Sears, represented a large expense for the buyer. And, these large machines required space. It wouldn't do to put it in a garage, as were many washing machines, because the user wanted to be indoors and comfortable. So the buyers had large enough laundry rooms, and probably not only housewives, but also housekeepers used this machine. It required a coordination of hand and knee movement, and some people just couldn't manage it. Practice was required to learn to use this behemoth. Still, the lure of easily completing this chore was a huge draw. Eventually three things came together to kill the Ironrite Company. The federal government placed an excise tax on these machines, thus raising the price. Secondly, permanent press in clothing was devised, and ironing in general declined. Thirdly, as housewives went to work, dress shirts were sent out. Manufacturing ceased in 1961, but the inventory of new Ironrites lasted into the 1980s when new Ironrites were still available. Even today, new rotary ironers are available from Miele, and used Ironrites can be found in antique stores, garage sales, and on eBay. Isn't this beautiful? A Hub peruser sent this to me . 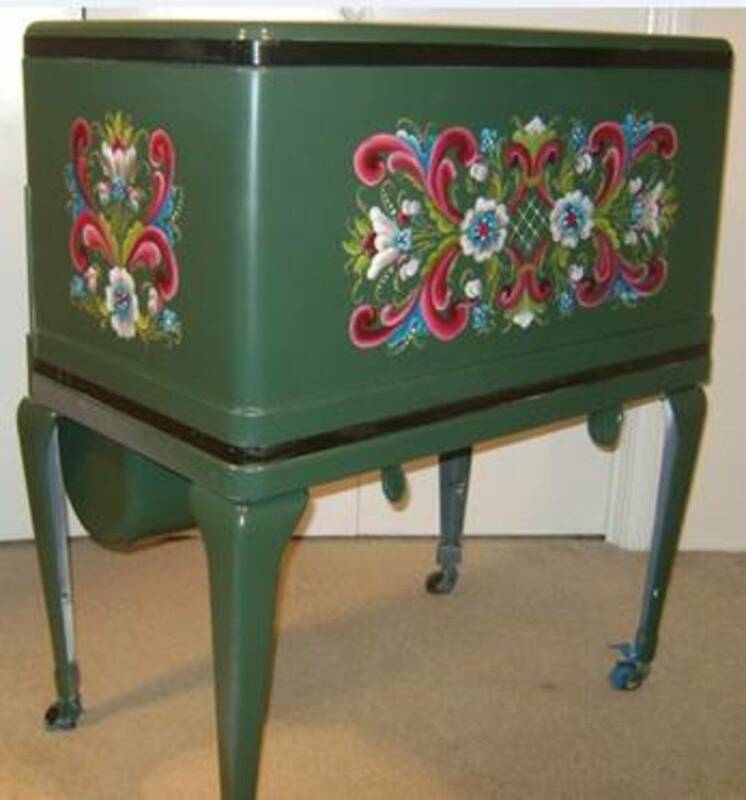 The art form is called rosemaling, which is a European folk art. The mangle model that was most common was 85. The last model was 95, and I think the model 95 is the best. It has a built in light, the best thermostat, and it is newer and in my experience, quieter. What is a reasonable price? I'd say about $50.00 is fair. Most people don't want these machines, and as I said, they do take a lot of room and a little expertise to use. I did learn how to use this machine very well, and I have instruction manuals, too. Contact me if you need some help. Hubwriters love comments. Leave one! I am not aware of any lawsuits against Ironrite, and I have read what I can find about them and the company. We’re there any lawsuits from injuries associated with the Ironrite? Otis12 there are a couple of sellers on Ebay that offer roller covers and pads. I believe they make them. I ordered a cover for my 95 last year. There was a choice of fabric thickness when I ordered mine. Not sure if that is still the case. I have a Model 88 in pristine condition except I need a new roller pad. It looks like the Ironrite Guy on Facebook is no long active. Any ideas where I can get a new pad? I can make the roller cover. I know the burlap was glued permanently. It's only there to get the pad started on the roller. No need to ever take the burlap off. I have an Ironrite Mangle # 95 and it needs a new motor. Any idea where I can either find a similar mangle # 95 or a new motor. This is 2015 and I live in the Seattle area and would be willing to pick up the motor or the ironrite. Yes, the purpose of the burlap is to hold the pad to the roller. Only replace it if it is not functioning. I doubt that the type of glue or adhesive material you use matters since there is so much padding and then the roller cover between the roller and what you iron. New questions. My Ironrite 95 has burlap glued onto it. How do I know when it should be replaced? When I go to pull it off, it takes the paint off the roller. If it's purpose is to hold on the pad, do I need to replace it? If so, what kind of glue? The Ironrite guy hasn't posted on his page in quite awhile and neither has Mr Mangle. Are they still around? I have a Conlon from 1965 in the Chicago area if anyone is interested. Beautiful condition with a running motor etc. I have never seen a Conlon in use. So, I either haven't been able to get it to run or there's a problem. Anyway, it is free for the taking. Please post if interested and I will reach out to you. Every 95 I have seen has had the light, so that makes me think that it was standard equipment. I have a Conlon manual that I am scanning for jitter buzz. Does anyone know anything about the Ironrite 95 light? Was it optional? Anyone know when I can get one? I have a question for everyone, I have a model 95 and the temperature knob has become very stiff and hard to turn, especially when my Ironrite is hot. Should I oil the knob or will I damage it? I can't seem to get the knob off and I don't want to break it. Thoughts? Does anyone have a manual for a Montgomery Ward Supreme ironer? The model number is 05AC179A. I have not seen anyone post about the MW model and am curious if anyone has experience with them. I bought mine few years ago. It had been left by a previous homeowner who supposedly did a lot of sewing. It is in good condition, but probably needs new oil and definitely needs a new power cord. Thank you for any help! 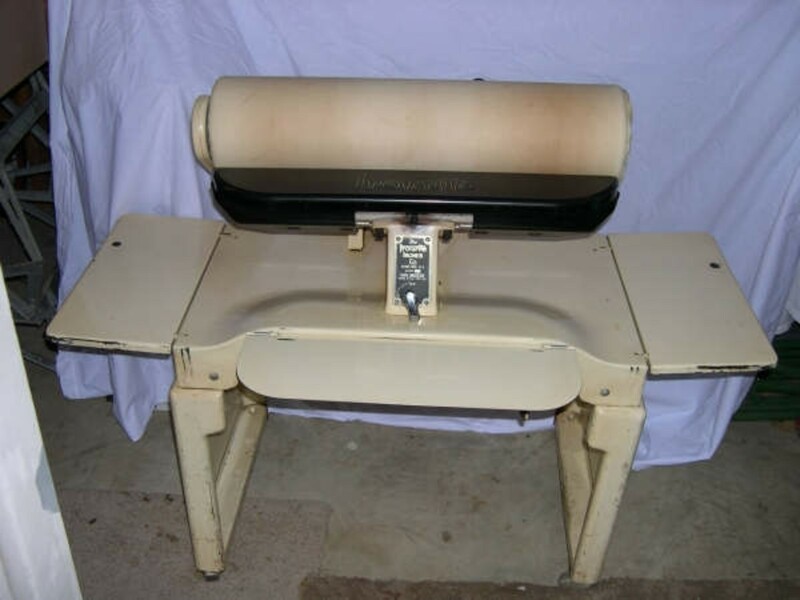 Does anyone have a paper or electric copy of user/owner's manual for Maytag Ironer F-10 to give or for sale? I have a Model 75 that I believe is in working order I would like to find a good home for. I'm in the Fort Lauderdale area. Contact me at ffs1932@gmail,com. Well folks Chris is finally restoring my Iron Rite 95. Believe it or not the shipper lost it in transit and it took a whole month for them to find it. It was being shipped from Chicago to the Pacific NW and got lost. It was found one month later in Colorado and finally was sent. These are pictures of the restoration on Chris's facebook page. Chris Crocker the Iron Rite Guy makes parts for these. But you have to take the shoe out and send it to him. He's the Iron Rite Guy on facebook. I agree with Gred, That if you ship these, You're not going to put them in a cardboard box. There's wood crates for heavy duty appliances you would more than likely use. And shipping would run about $125-$150. So if you're selling one to ship, you want to make sure it's well insured and figure the cost of shipping into your sale price. The 85 machine is the much more common one you'll run across. As far as paying $40 for one, they can run from $40-$400 depending on the condition. My machine was like brand new and I doubt the dealer would have let my pristine, clean, rarely used model 95, go for $40. I probably over paid for it on ebay. You can probably find better deals on craigslist and I probably could have found one cheaper had I searched for months but this was my husband's birthday present to me and I was specifically looking for one that was rarely used and in perfect working order. Shipping can be very tricky. I have heard a few horror stories about ironers being severely damaged in shipping. And, these machines are very heavy. Of course, there is a way to do it right. Still, some of these ironers are going to scrap metal, and I would rather see them go to someone who will use them or like them for their historical value. So, I am the voice that disagrees with Lorna Doone. If you have one that you don't want, let it go. While a pristine PINK model 95 with light and matching chair may go for $400.00, most of these wonderful machines are model 85's with a few dents and scratches with no chair. $40.00, Folks. Wow Acemum, You got a real deal on Ebay for a buck. The collector's on Ebay are hip to the fact these machines are desirable and a buck is rare indeed. Mine was in pristine shape sitting in the basement of a university for years and rarely used. I found it on Ebay and it didn't go cheap. Some antique dealer brought it and was offering to ship it nationwide for his right price of course. He's got another one, another brand and has got 15 watchers on it so I don't expect it to sit there long. Folks don't let these go cheap unless they want them out of the house for space purposes but I've seen some very nice well kept models on Ebay. Most people want you to pick them up, however Chris has told me there's a way to take it apart in 2 pieces to ship it. My dealer took it apart in 2 pieces to ship it so it can be done. Chris has also told me once these models have been fully restored there's a value to them. wonderful to know there are others who appreciate this amazing machine. I covet your model 95 although my 85 is excellent as well, if there were a 95 within driving distance of Hamilton ny I would be there. I have two ironrites one in a wooden cabinet I snapped up for $1.00 on ebay, it involved a drive to Albany ny. and another one (free) a friend had in the garage in a house he had just purchased. it was destined for the metal men . I could not let that happen. I have noticed the price creeping up on these machines. I am heartened by that. hopefully they will no longer end up as scrap. looking forward to seeing your pictures posted here. Hi Gred, Happy to have found this blog. I did my homework before I went ahead and purchased my Ironrite 95. I've been waiting for one of these babies for awhile and I specifically wanted Model 95. Found one in pristine shape and snatched it up. Even though it was in good shape I decided to send it to Chris for a makeover because it had the original cloth type 50's electric cord and I was worried about it getting frayed or possibly the wire shorting out due to old wiring. so that it would be in proper working order. I was debating whether I wanted it painted pink, or keep it white to go with my other appliances. I decided to keep it white. I'll make good use of it as I do a lot of ironing for my husband's work clothes, I also use 100% pure cotton sheets that wrinkle, table cloths and cloth napkins, and cotton curtains. So it's a God send for me. For example: If someone was in the habit of continually sending clothes to the dry cleaners to avoid ironing them, this machine would be a waste of money. And I do know folks who do exactly that. I plan on keeping it in working order and hopefully I can pass it along to one of my daughters. I have plans of retiring to Maine or NH and opening up a B& B. If so, and I do buy a B & B I'll look to buy and restore a couple more of these. Including a rare desired pink one. So I'll keep tabs on this blog and respond in kind to other collector's. Chris is in the process of restoring mine. Hopefully when it's completed I'll download a picture here. I can't wait to get it. I'm all excited. Besides restoring an antique I actually get to use it. And unlike the appliances made today will last a lifetime. You are right when you say that these machines were built to last. Hi All, Just brought my new Ironrite 95 model. You can buy pristine ones on Ebay from previous owners. However, if they are in excellent working order you won't get them cheap. Chris C aka the Ironrite guy is restoring mine for me. I brought it in good used working condition but since I'll be using it for household ironing I decided to send it to Chris for upgrade. Now if anything breaks which is usually the shoe or heating element, I only need send that part to Chris for repair. Since these machines we're built to last like a tank, you should get lifetime use out of them so long as you keep them up in good working order. There should be two switches, one for the motor and one for the heating element. It sounds like the heating element switch has failed, and it is constantly on. Are you handy with electrical things? Can you see how the switch is wired, and could you get a new switch to fit in the same place? I have an Ironrite Model 85. I've used it for 10 years very happily! About 2 years ago, I the junction block fried and I had someone replace it. While my unit works since the repair, the on/off switch doesn't--It just begins warming up when it's plugged in. I had already replace the cord a few years ago. So, I wonder, could you help me figure out how to get it to work on the switch? Also, I'm wondering about replacement casters for this unit to make it easier to push. Any suggestions? Thanks for hosting this wonderful site and keeping information about Ironrite out there! I didn't pull it out and take a good look but I'm guessing it must have a light since there is the gooseneck visible in one of the pictures. In the greater Seattle area so hoping the right person will find it. I teach, so if no local purchaser shows up by summer I might get motivated to get a shipping estimate etc. for posting on Ebay or other sites. You have a very rare Ironrite, and I would love to see a photo of it. Is it brown? Does it have a light? Do you have it listed on craigslist in your area? You may be wondering what it is worth . . . Has anyone offered you anything for it? Hi all, I have an Ironrite Model 98 that anyone willing to come and get it can have. We are located in Puget Sound country between Seattle and Olympia. It is in beautiful shape. We have the instruction book and original sales receipt dated January 1962. The wood cabinet is beautiful and intact, no marks, scratches or anything. Has been in nonsmoking home for at least the last 10 years, no cigarette or other odors. Willing to negotiate if someone wants it shipped to them. My GUESS is that model 45 was manufactured in the 30's. It's value, in good working order--to someone who wants a model 45 Ironrite--should be about $40.00. I love Ironrites, but not too many people share that fondness for these machines. I have a model 85 I just purchased and needed to change out the old power cord with a three wire conductor cord. I have the wiring diagram for the models 80-85-88 and my question is does it matter which of the terminal blocks gets the white or black lead of the replacement three wire conductor as shown on this diagram. The diagram just shows a three wire conductor and no lead colors. Obviously the green goes to ground on the back panel. I am reluctant to do the smoke and burn test if I have wired the replacement cord in wrong. I have a model 75 ser. no. K1077 in working order located in Fort Lauderdale, FL , that I will donate to whomever wants it. I have model 85 which I never used but it probably works. If someone is interested you may contact me at mailnstuff@juno.com. I will forward photos of it. Will be moving in three to four weeks and cannot take it. New owners of home may scrap it. I own an Ironrite Model 70, which I love and used until, I ironed over a Levi snap and I'm thinking the "emergency" knob in the back kicked in, popped and now I do not have compression to iron....and boy, do I miss sitting and ironing as I have for 55 years of marriage.....I still iron but dislike standing at my age like when I was young. I would like to purchase a repair manual so hopefully, my husband can "fix" whatever is broken in the gear box. It works (worked) find until I made this mistake, not sure if something broke, the machine rotates well, the knee pedals seem to work properly but the roller does not have the needed compression. HELP!! You out there, in the "know". The purpose of the burlap is to hold the padding on when you start to put it on the roller. You could go to the fabric store and buy any heavy type material (not synthetic, because it is going to get hot), and use that. It should be about 5 feet long or so. You will have to either glue it on or use duct tape, which I did once. It worked! I have an 85 Ironrite that a friend gave me about a year ago. I have replaced the cover before with one I made from muslin but it has started to shred. I went to replace it again and I decided to replace the padding too. When I removed the padding there was no burlap glued to the roller which is very rusty. The manual says not to remove the burlap, so I am trying to figure out what to do. Could anyone tell me if I should sand off the rust? Coat the roller with anything? And how much burlap do you need to wrap it with and what kind of glue to attach it to the roller? Any help would be greatly appreciated. I have a very old "Beatty" model roller iron mangle which was a Canadian company in a place called Fergus??. All is working but needs a bit of adjustment i think but is lovely machine from 1935 ish but need to find a service or instruction manual for it . Failing that anyone who knows how it works with the correct operation of levers/switches?? To follow-up on my posts from last spring, last fall, I found a Model 890 (fold-up portable unit) on Craigslist near Ft. Collins CO, bought it, and had it shipped to San Diego by UPS. Since it arrived, I have changed the plug to an HD plug from the hardware store to resolve the cord heating issue noted by the previous owner. Unfortunately, the original Owners Manual blew out of the PO's pickup when he was moving the unit. As noted above, the 890 is the "portable" unit, it has a short (22") roller, and only one knee control, which has a two-step operation. One 'press' lowers and starts the roller. A 'half-press' stops the roller for stationary pressing. When folded, the ironing table is vertical and the gear box is horizontal, and judging from staining on the paint, it looks like there has been a slow oil leak, so I store the unit with the ironing table in the "up" position to avoid any leakage. It makes a bit of noise, so I will be checking the oil level in the near future. One of the websites suggests putting a thin coating of paraffin on the heat shoe. I use an old white candle, and it seems to work well to avoid sticking. Hello mangle fans. My in-laws have an Ironrite Model 75 (not a model that I've seen written about here) and it's marked with a "Silver Anniversary" sticker. The condition is unknown as it's been in their barn for a long time (some surface rust and the roll cover is in shreds). It's located in southeast Wisconsin (an hour north of Milwaukee) and I'd love to see someone take it home with them. Please contact me at 1962dadshelper"at"gmail"dotcom" if you're interested. Sure. I will do it later today and send it to you as an email attachment. Where do you live? Could I possibly get a copy of your owner's manual for the GE Flatplate Ironer? My email address is yyinpdx(at)msn(dot)com. It just so happens that I have the GE flatplate ironer, and the manual for it. I became pretty good at using it, but, it, too, is in my basement, and I have been thinking of passing it on to someone who wants it. I am the proud owner of an 85 that was given to me by a friend a year ago. I love using it to iron all the long runs of fabric I get for sewing quilts, it works great. This weekend the same friend brought me a GE Flatplate Ironer AF120 that had been in the basement of her house when she moved in 20 years ago. Does anyone have any info on this item? My 85 came with the original manual and I was able to download the maintenance manual from Jitterbuzz, but have been unable to find anything on the internet regarding the GE. PROBLEMS FROM TRANSPORTING A MODEL 88 LAYING DOWN! My mother, who is over 90, suggested that we take her Iron-Rite Model 88, as we had been bringing our table clothes and napkins from the holidays each year and used her Iron-Rite to iron them. We jumped at the chance and took it home. I wish we would have found this site before we took took it home, since we laid it down in our Ford Expedition and drove for 250 miles! We found this site, flinched about the "don't lay it down part" and immediately checked for oil leakage either out of the iron case or into the electric motor. I changed the oil which was low but clean. (Note: if changing oil over carpet put some aluminum foil on the food under neath as there is a seam right next to the drain plug and one little slip and it gets away from you fast! Then I started the unit up and NEITHER of the knee controls worked, there was no back pressure against them, we were crestfallen! After much reading, I tried the "last ditch" exercise that one site suggested of pulling the roller arm down manually (and the roller DID turn when I did that) and triggering the manual release several times both when running (held down) and when shut off. The word was that if this didn't work then we were in deep do-do! Well, it didn't work, but I just couldn't believe we had screwed it up that bad and I grabbed more tools and better light and went after it with a vengeance and FOUND THE SOLUTION! I crawled underneath and used a standard screwdriver to take of the plate from under the main housing. Clear to the back is where the bell rank linkages (I think that is what hey are called) from the knee levers enter the housing of the gearbox, this is where the last bell crank in the series pushes a vertical rod (2 of them, one for the left knee-lever, one for the right) up into the case to manipulate the gears. As I studied these vertical rods, I cold see they had notches cut into the side of them where the bell rank "lobes" we're supposed to rest, but since the unit had laid on its back duing he long trip home, these vertical rods were laying horizontal and the bell rank lobes had moved sideways and out of heir propr position! The vertical rod on the right (if you are sitting at the operator's station) required my pulling it down with a pair of long nose pliers since it was spring loaded, then I could push the lobe over into place. Once I got that one, the other one was easy! Now there was tension back against the knee levers! My wife is the pro with the Iron-Rite, so I called her in to test drive it. It worked perfect, just like back at my mother's, we're elated... Time to go celebrate! I have seen the model 890, and it is very interesting. Ironrite made two roller sizes, so the 890 may be the shorter roller, in which case, you could not switch out the roller mechanism from yours. Ask the seller to measure the roller. i think gredmondson may be able to answer this. there is a folding up model 890 on ebay right now. i have inquired about shipping cost. i would like to retrofit my ironrite model 85 onto this folding frame or in the alternative fix the 890. can a cabinet model be converted to the stand? there are fairly good photos on ebay showing the underside but i cannot tell. seller says the shoe heats up but will not turn he admits to knowing nothing about the ironrite. could be he does not know there is a lever you need to engage to make it turn and stop.would love to use this folding stand model to conserve space.i love this thread and have commented in the past.i recommended a linen cover for the ironrite.i think all those scorched covers turn people from buying on ebay.thank you all for any input you might offer. Someone may know this precisely, but I think the 88's were made in the late 40's through the 50's. I have a model 88 I acquired a couple years ago and use it for quilting regularly. Is there any way to date this machine? I do not have any documentation, just serial number on the motor. Bless you for being generous enough to give your Ironrite away. I have done the same thing. This may save this amazing appliance from the scrap pile. I have an ironer that I am willing to give away. It worked the last time I used it, but I can no longer use it. I live in Decatur, Il. and you would have to come pick it up. Think it is a Ironrite 85.
e-mail me for more info. Look on youtube under Ironrite, and you can find an expert using one. I got to be a pretty good expert myself! Miele makes a rotary ironer, but it is very expensive. 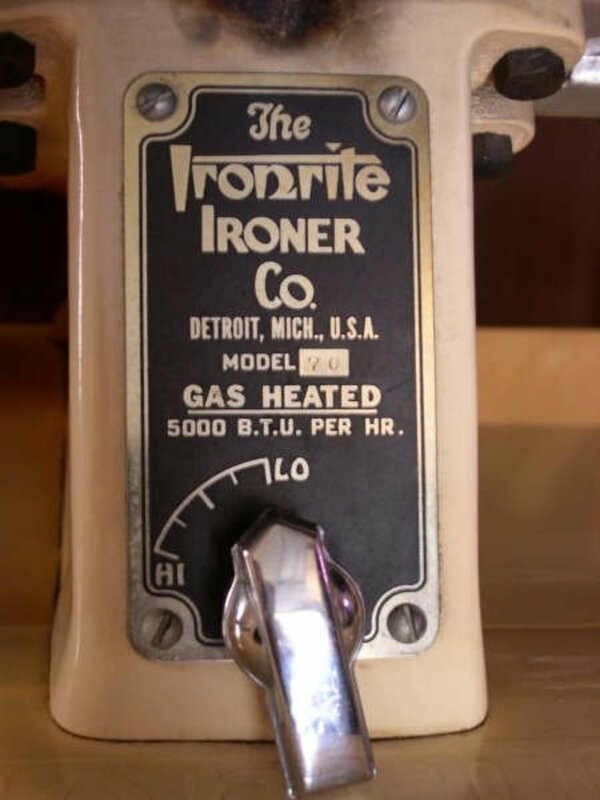 I have a tabletop model Ironrite purchased from a dealer in Missouri. It was delivered by a freight service because it weighs approximately 130# so it is not a "portable" model by any definition. I haven't been able to try it out as I don't have a table sturdy enough to use hold it. The original manual was included but it doesn't have any information on the tabletop model, just the usual operational and care instructions. Eventually, I hope to use it. I do have another tabletop ironer Hotpoint 10LR-1 which is smaller and much lighter that I use to iron anything flat. I have seen these on ebay under several different brand names. 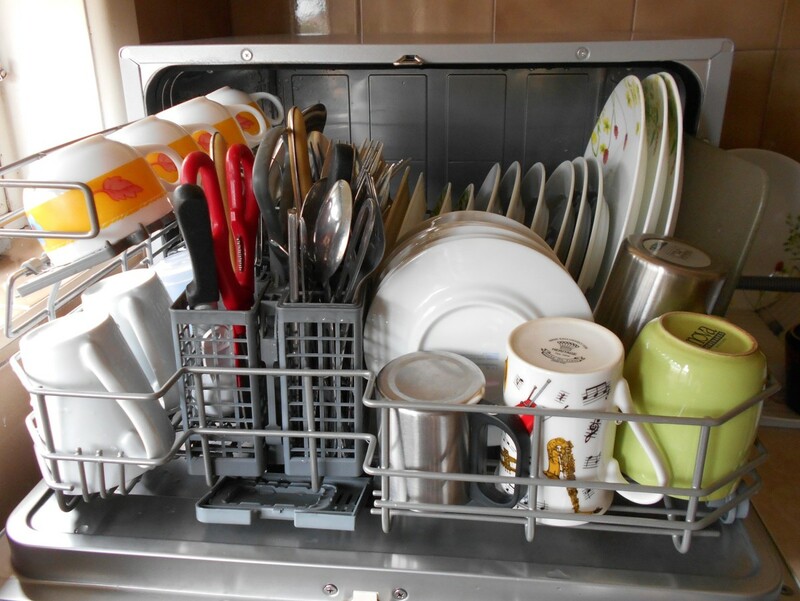 It is a nice appliance for someone who doesn't have a lot of room. All operations are directed by a gear-shift type handle behind the shoe so it is very easy to use. My first ironer was made by Easy and is in good shape except for the lack of a motor. It was given to a friend as a prop. She had it stored in her garage and wanted to get rid of it. However, she had no idea if it worked or was complete and neither did I. Oops, now it is residing in my garage. I have considered attempting to use the stand for the Ironrite but haven't really looked to see if that would even be possible as I don't know if the stand and ironer can be separated. Why I am infatuated with ironers is beyond me. I never saw one in use but our neighbor had one in her kitchen when I was a child. I was fascinated just looking at it. If all my antique options fail in the future, I would consider a new one because it is a pleasure to use an ironer. OK, I've already changed course....instead of trying to find an element for my Ironrite, I actually found a beautiful WHOLE Ironrite to purchase, and am now offering to sell the parts off my Model 85. Please email me at marizimmerly@yahoo.com if you're interested in purchasing any part EXCEPT the element. Before the ironer was taken apart, there was smoke observed coming out of it. The element was found to be the culprit. The motor, switches, roller, everything else was working just fine up until the smoke. Happy ironing, everyone! My Ironrite was passed on to me in pieces after my mother died several years ago. It is missing the element, unfortunately. Do you know where I can buy one? It seems that all the other parts are in a box that came with it. I've found someone who believes he can get it all back together if I find a new element. My daughter is after me to get it fixed so she can use it, having fallen in love with an Ironrite at a friend's house when she was in college. I have fond memories of my ironing days, too, back in the 60's when it was my turn to do the linens and my brothers' jeans. Start looking on craigslist first and then ebay. You can even post of craigslist--under for sale, you may click on "Wanted." Looking for an Ironrite Model 85 in or near Houston, Texas. My Mother would like one again so this will be her Christmas gift, assuming I can find one. Am willing to drive 250 +/- miles to pick up one in good condition for a reasonable price. Please email sue5966@aol.com. Thankx! Easy was a respected laundry equipment manufacturer. I hope you have listed it on craiglist and ebay. Use the photos you have. Very few people have interest in these machines as antiques, so they do not have a lot of value. Since yours is in such good condition, it is worth trying to save it from the scrapheap. Be happy to get anything over $20.00 for it . I have an IronRite Model 98. It has wood casing that opens up instead of metal. It was my parents. Looks great, haven't plugged it in yet. If anybody in Michigan ( Oakland County) is interested let me know at warpburton@yahoo.com Would like to do better than just scrapping it. I have a Model 850 in Philadelphia that should be saved from the scrap metal scavengers. The element heats, the motor spins. Beyond that, you'd have to guide me through whatever needs testing, or come here and do it yourself. Does anyone know how to contact the Ironrite Guy? I recently purchased one from that isn't working. I am glad that you posted your Ironrite here. I hope you will also post it on craigslist. That is better than sending it in for scrap. I have a working Ironright in great shape as well as the matching health chair. I am in Michigan. It has the manual in GREAT condition, a new cover for the roller and everything works. I am wanting to sell it or it goes in for scrap metal. Please let me know. I have a Iron Right that works GREAT. Has the Health Chair, owners manual and a new never opened cover. I am in Michigan. 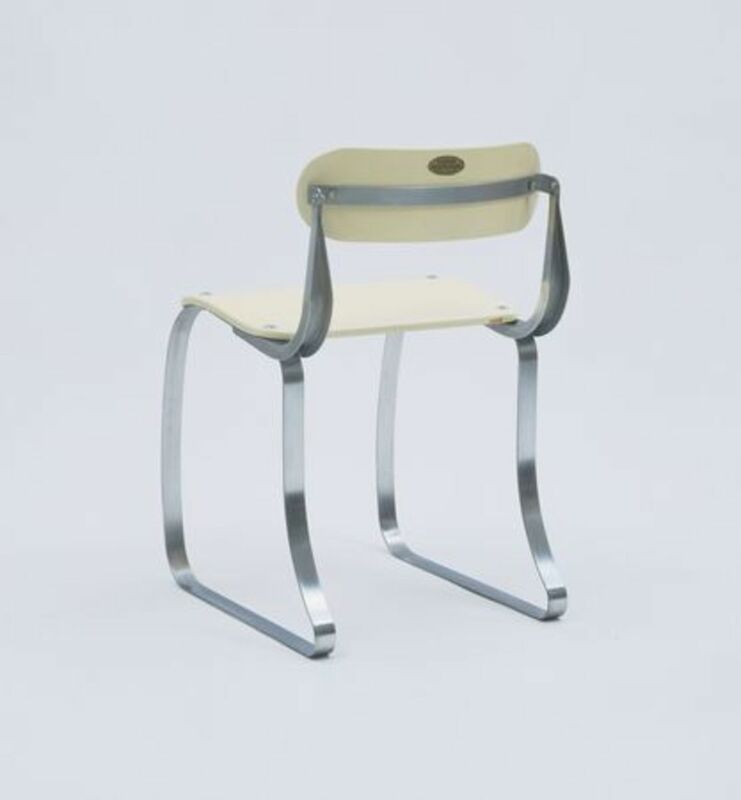 Would be happy to sell it for cheep, will also sell the chair on its own if someone wants it. Hello, My folks purchased a Conlon Corp. mangle prior to WWII I believe. It is a Model T7, Serial number 14190, last patent number 1652561. The canvas cover on the roller has been replaced twice. My question is; is there a way to check the oil level and should it be replaced? and if so with what type oil. It is quit and works fine. Used two or three times a year. Would a manual or any other information be available for it? here is info for gmkr who commented here a few weeks ago about wanting a portable ironrite in california. i did not know they existed but here is one i found currently 3/15/12 on ebay the seller is in california as you requested. he will also ship. i have seen a original bill of sale for a model 75 ironrite. ( it is on ebay right now. )i thought it was interesting.the model 75 sold for $220. in 1947 in california.i think the model 85 came out in approx. 1948 as that is the date on the owners manual. in todays dollars that would be approx $2200. my search on the net said $100. in 1947 was equivalent to $1004.today. these machines were very expensive! the motor is located underneath the cabinet and i cannot find where to oil the motor. in my 85 the motor is on top and it is obvious where to put a few drops of oil.if anyone can direct me i would appreciate it. to wilma (her comment is above) a users manual is available right now on ebay. i assume it is a copy. I have a model 88 in the wooden cabinet...what a fine piece of furniture this is! I am a quilter so this is great for large pieces of fabric. If anyone has a copy of the users manual, I would appreciate a copy. If you need to email me, my email is kitten206@yahoo.com. Thank you! I've learned more about the unit here than I have in the years I've had it and was afraid to use it. LOL! Does the cord look like it was original to the appliance? Maybe it had been replaced with a cord that was insufficient. Many comments ago, someone posted how to replace the cord on an Ironrite with a grounded cord. These ironing appliances draw a lot of current. A plug that almost melts the receptacle is DANGEROUS! I agree that linen fabric is a logical choice for roller covers. However, whether your cover is linen or cotton, most fabrics are treated with sizing during manufacture, and any starch and sizing on the roller cover fabric will get scorched from the heat. Therefore, an important task to preventing scorching is to wash the fabric prior to mounting on the roller to remove all starch and sizing. Ideally, this would be done before making up the cover, since the material is likely to shrink during the washing process. Also, over time, starch will yellow, which will affect the appearance of your ironer, and the yellowed starch could transfer to items being ironed if they are wet. Anyone have any opinions on my earlier questions re the Ironrite Model 890? Also, does the 890 have the same 2-pedal operating system as the 85's and 95's? Is the rooler and shoe on the 890 shorter than on the 85/ 95's? I haven't been able to find any definitive info on the differences between the portable units and the regular units (e.g., 85, 88 and 95), and would appreciate any insight available. I am looking for an Ironrite in southern California, and space limits make me think a model 890 folding model would be a good fit for us. Is that the same as a model 89? Or should I be looking for a Model 95? I would appreciate if knowledgeable users would comment on the differences between these models, especially on the roller length and shoe sizes. I will use occasionally for ironing shirts and table linens, but could also see use for sheets and bed linens. Thanks for your help. "bizzyliz" listed a model 88 several months ago located in central new york.she did not leave contact info. if still available please contact me. The wood Ironrites are generally worth less than the metal Ironrites. They were designed to be "living-room worthy" for those who did not have laundry rooms. There is less demand for them even though they are more rare than the other kind. I have a Ironrite mangle iron that was given to me by my grandmother. It's cabinet is made of 1" mahogany wood instead of the standard metal. Is this item worth anything? I agree with you completely about linen taking high heat, and its quality would match the rest of the Ironrite's high standards. The newest of those machines is at least 50 years old, and many are still working! thank you all. i did find the armite "zoom spout" turbine oil online. i had only put two drops of 3 in 1 oil in the motor so don't think anything awful will occur. when i removed top to gear box the oil was clean, at the proper level and appeared fine.no sludge at bottom of gear box. i was cautioned that the new oils have additives that might eat through the gaskets (which are holding fine now) but when i do change the oil i will take the recommendations here. this site is enormously helpful and i am heartened to know that others are fascinated with these beautiful machines. 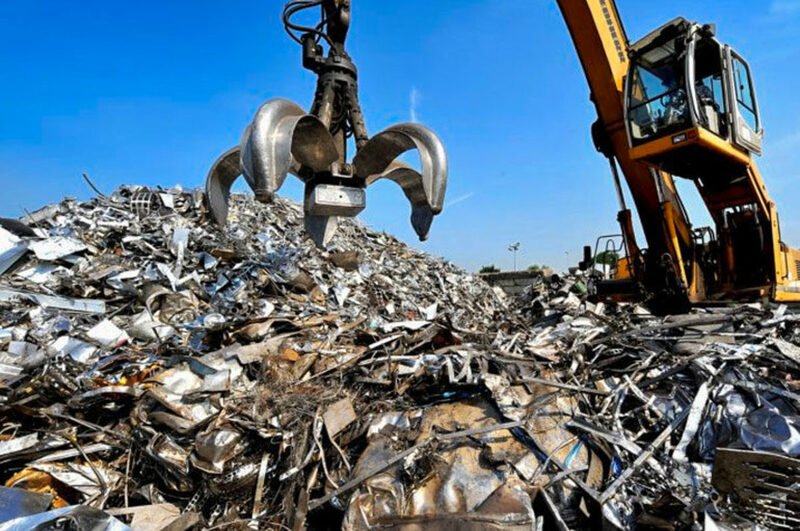 hopefully they will be kept out of the scrap metal heap. one recommendation i can make. use a fine 100% linen for the cover. linen requires the hottest temperature. so it follows that the cover should be made from linen. muslin will adventually scorch on the linen temperature setting. linen will outlast just about everything. ( the shroud of turin) i don't know why the ironrite company made covers out of cheap muslin. they had high quality on everything else. my linen cover works great and looks great too.be sure to preshrink it in hot water and high dryer temperature before you make the cover. you don't want to make the cover and then discover when you launder it that it shrinks and won't fit anymore. PLEASE MAKE NOTE OF THIS: For anyone who needs repairs -- like heating elements that don't work -- the go-to guy is Chris, who calls himself "The Ironrite Guy". He has a Facebook page called "Ironrite Guy" where you can get contact information and send him messages. I just had him rebuild the heating elements on two of my Model 85's and he did an excellent, professional, remarkably inexpensive job with quick turn around. Tell him RickyRob48 sent you. PLEASE don't use 3-in-1 oil for any transmission lubrication -- it's essentially vegetable oil-based and not at all suitable for lubricating the drive gears of your mangle. I use 20 weight non-detergent motor oil in the gear box of both of mine. The turbine oil I mentioned in an earlier post is perfect for the motor --careful not to over oil -- 6-8 drops every few months should be fine. Just checked the 3-in-1 website, and saw that 3-in-1 is equivalent to 20 wt. (SAE) oil. My understanding from here and elsewhere is that the Ironrite Company recommendation is for a 40 wt. oil, which is more viscous or 'thicker' oil that will perform better in high pressure applications in the ironer gearboxes. However, this thread does seem to recommend using a lighter weight oil to free frozen or stubborn parts and remove older lubricants that have solidified, and draining and replacement with 40 wt oil. Site users with more experience may be able to shed more light on this issue, but it seems like using the heavier 40 wt. non-detergent oil may be one reason for the legendary longevity of these products. That would seem to rule out using 3-in-1 as a permanent lubricant. Three in One Oil comes in different grades. The uses are explained on the container. I found the turbine oil at ACE hardware. i read here that you should not use 3 in 1 oil in the motor. the suggestion was for "zoom spout" turbine lubricating oil. i cannot find it, i have never heard of it. i previously have used 3 in 1 and now i am worried i will damage the motor.any help or suggestions are appreciated. Can I tell the year of my Ironrite 85 by it's serial number ?